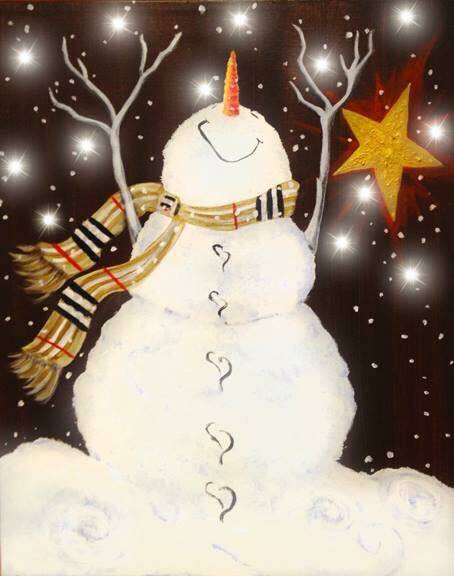 This is a special event, not only will we be painting this blissful snowman, but we will also be adding mini Christmas lights to illuminate the sky! All supplies will be provided to light up this adorable snowman. Fabulous as a gift or a holiday decoration in any room of your house!